J. Chacornac discovered asteroid #59 Elpis. A. Borrelly discovered asteroid #117 Lomia. R. Luther discovered asteroid #241 Germania. Born, Irene Joliot-Curie, French physicist (neutrons, nuclear fission), Nobel 1935 (nuclear chemistry) with Frederic Joliot "in recognition of their synthesis of new radioactive elements"
A. Kopff discovered asteroid #1780 Kippes. J. Palisa discovered asteroid #689 Zita. K. Reinmuth discovered asteroid #937 Bethgea. S. Belyavskij discovered asteroid #1006 Lagrangea. Y. Vaisala discovered asteroid #1405 Sibelius. L. Oterma discovered asteroid #1507 Vaasa. Four teens, following their dog down a hole near Lascaux, France, discovered the 17,000 year old drawings known as the Lascaux Cave Paintings, the finest examples of art from the Paleolithic Period. M. Itzigsohn discovered asteroid #1800 Aguilar. S. Arend discovered asteroid #1639 Bower. 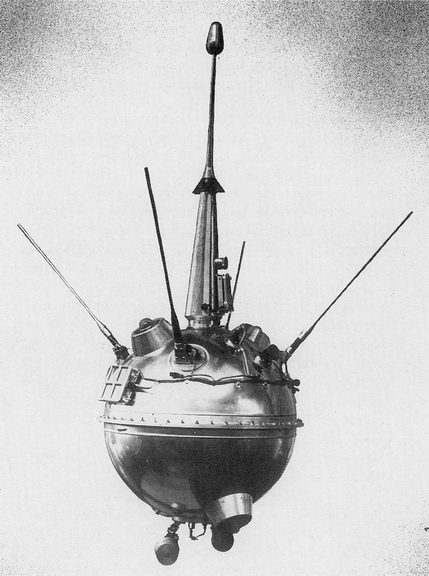 USSR launched Luna 2, which became the first spacecraft to (crash) land on the Moon. NASA and the USAF launched X-15A Mach 5, Aerodynamics, Stability test mission # 40 in which Joe Walker reached a maximum speed of 5823 kph (Mach 5.21), and achieved a maximum altitude of 34.839 km, with smoke in the cockpit due to scorching paint. US President John F. Kennedy spoke at Rice University's Rice Stadium to an audience of 35,000, saying of the Lunar landing program, "...we do this not because it is easy, but because it is hard..."
"We choose to go to the Moon in this decade and do the other things, not because they are easy, but because they are hard, because that goal will serve to organize and measure the best of our energies and skills, because that challenge is one that we are willing to accept, one we are unwilling to postpone, and one which we intend to win, and the others, too. "It is for these reasons that I regard the decision last year to shift our efforts in space from low to high gear as among the most important decisions that will be made during my incumbency in the office of the Presidency. . . ."
USSR launched Sputnik 21 (also called Alpha Pi 1, originally called Sputnik 25 in the U.S. Naval Space Command Satellite Situation Summary), an attempted Venus flyby mission. Sputnik 21, launched 12 September 1962, was an attempted Venus flyby mission. The SL-6/A-2-e launcher put the craft into an Earth parking orbit, but the main engine cut off just 0.8 seconds after ignition due to cavitation in the oxidiser pump and pump failure. At T+531 sec, the fourth vernier chamber of Stage 3's 8D715K engine exploded, destroying the spacecraft, because the LOX cut-off valve had not closed as scheduled, and LOX flowed into the hot chamber. NASA launched the Gemini 11 Agena Target Vehicle (GATV-11). The Gemini 11 Agena Target Vehicle (GATV-11) was launched into a near-circular 300 km orbit from Cape Canaveral, Florida, at 8:05:01 AM EST (13:05:01.725 UT) on 12 September 1966 using an Atlas-Agena D rocket. Gemini 11 was launched an hour and 40 minutes later, and rendezvoused and docked with GATV-11 at 11:16 AM EST. 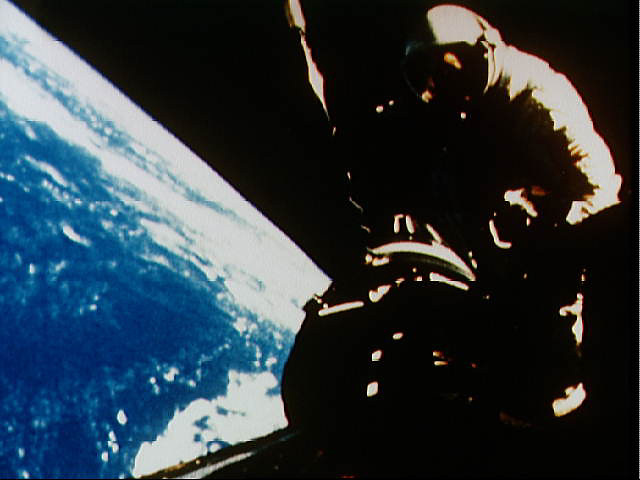 At 9:51 AM EST 13 September, Richard Gordon began a 20 minute EVA from Gemini 11. He moved across to the GATV-11, detached one end of the 30 meter tether, and attached it to the Gemini spacecraft docking bar. The Agena primary propulsion system was fired for 25 seconds at 2:12:41 AM EST on 14 September, raising the docked spacecraft apogee to 1374.1 km. After two orbits the Agena was fired again for 22.5 seconds to lower the Gemini-Agena back down to a 287 x 304 km orbit. The spacecraft were undocked shortly after 10:00 AM EST, and Gemini 11 moved to the end of the 30 meter tether attaching the two spacecraft. 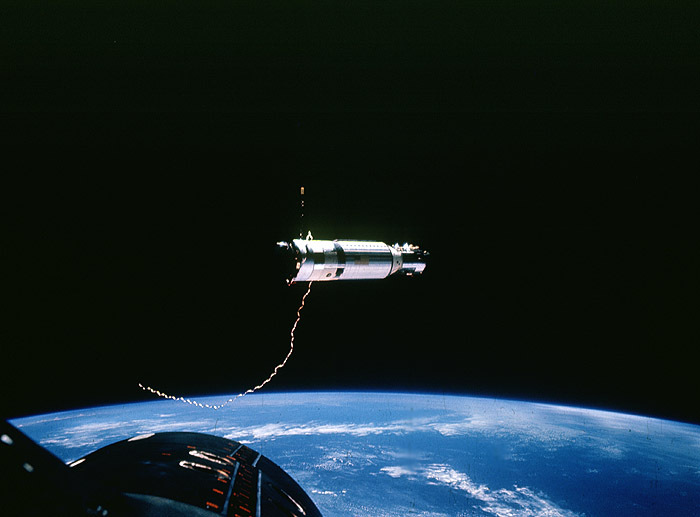 At 11:55 AM EST, Pete Conrad initiated a slow rotation of the Gemini capsule about the GATV which kept the tether taut and the spacecraft a constant distance apart at the ends of the tether. After about three hours, the tether was released and the spacecraft moved apart. GATV-11 was left in a 285 x 305 km orbit. The Gemini Agena Target Vehicle was designed to be launched into Earth orbit prior to a Gemini mission and used for rendezvous and docking practice. The GATV had a docking cone at the forward end into which the nose of the Gemini spacecraft could be inserted and held with docking latches. The GATV was a 6 meter long cylinder with a diameter of 4.9 meters. The primary and secondary propulsion systems were at the back end of the target vehicle with the attitude control gas tanks and the main propellant tanks. The docking cone was connected to the front end by shock absorbing dampers. Acquisition running lights and target vehicle status display indicators were situated on the front end. A 2.1 meter long retractable L-band boom antenna extended from the side of the cylinder near the front. Tracking and command of the GATV were also aided by a rendezvous beacon, two spiral L-band antennas, two tracking antennas (C-band and S-band), two VHF telemetry antennas, and a UHF command antenna. Micrometeoroid packages and other experiments could also be mounted on the GATV. The Gemini program was designed as a bridge between the Mercury and Apollo programs, primarily to test equipment and mission procedures in Earth orbit and to train astronauts and ground crews for future Apollo missions. The general objectives of the program included: long duration flights in excess of of the requirements of a Lunar landing mission; rendezvous and docking of two vehicles in Earth orbit; development of operational proficiency of both flight and ground crews; conduct of experiments in space; extravehicular operations; active control of the reentry flight path to achieve a precise landing point; and onboard orbital navigation. Each Gemini mission carried two astronauts into Earth orbit for periods ranging from 5 hours to 14 days. The program consisted of 10 crewed launches, 2 uncrewed launches, and 7 target vehicles. NASA launched the Gemini 11 Earth orbiting mission carrying Pete Conrad and Richard Gordon. 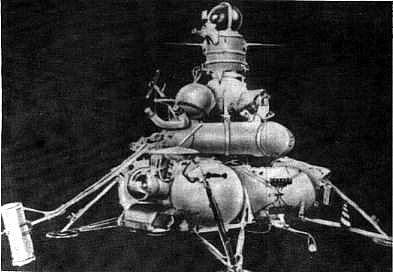 USSR launched Luna 16 to the Moon, the first robotic sample return mission. N. Chernykh discovered asteroid #2473 Heyerdahl. Harvard College discovered asteroid #2305 King. P. Wild discovered asteroid #3060. R. S. Dunbar discovered asteroid #3551. P. Wild discovered asteroid #3329; T. Schildknecht discovered asteroid #3330. An Ariane 3 launched from Kourou carried Europe's Eutelsat 3 and GTE's Spacenet F3 communications satellites to space, with a geosynchronous orbit injection failure. A third stage igniter cartridge failure was determined to be the most likely cause. NASA launched STS 48 (Discovery 13, 43rd Shuttle mission) carrying the UARS (Upper Atmosphere Research Satellite) experiment platform to orbit. NASA launched STS 47 (Endeavor 2, 50th Shuttle mission) carrying the Spacelab-J experiment platform to space. NASA launched STS 51 (Discovery 17, 57th Shuttle mission) carrying ACTS/TOS and the ORFEUS-SPAS experiment platform to space. The first launch attempt of STS 51 on 17 July 1993 was scrubbed during the T-20 minute hold due to premature and unexplained charging of pyrotechnic initiator controllers (PICs), located on the mobile launcher platform (MLP), for the T-0 liquid hydrogen vent arm umbilical and solid rocket booster hold-down bolts. The problem was traced to a faulty circuit card in the PIC rack on the MLP. An abbreviated countdown began 23 July 1993. The second liftoff attempt on 24 July was halted at T-19 seconds due to a problem with the auxiliary power unit (APU) turbine assembly for one of the two hydraulic power units (HPUs) on the right solid rocket booster. The APU was removed and replaced at the pad. The launch was rescheduled for 4 August, then changed to 12 August due to concerns regarding the Perseid meteor shower, which was expected to peak 11 August. The liftoff attempt on 12 August was halted at the T-3 second mark due to faulty sensor monitoring fuel flow on main engine number two. It was the fourth pad abort in the Shuttle program history - the second in 1993 - which led to changeout of all three main engines at the pad. The launch of STS 51 was rescheduled to 10 September 1993, then slipped to 12 September to allow time to a complete review of the Advanced Communications Technology Satellite design, production and testing history following the loss of contact with the Mars Observer spacecraft and the NOAA-13 satellite. The countdown finally proceeded smoothly to an on-time liftoff on 12 September 1993. One of the two primary payloads for STS 51, the Advanced Communications Technology Satellite (ACTS), was deployed on flight day one. About 45 minutes after ACTS was deployed, the attached Transfer Orbit Stage (TOS) booster, flying on the Shuttle for first time, was fired to propel the pioneering communications technology spacecraft to geosynchronous transfer orbit. On flight day two, the crew deployed the second primary payload, the Orbiting and Retrievable Far and Extreme Ultraviolet Spectrograph-Shuttle Pallet Satellite (OERFEUS-SPAS), the first in series of ASTRO-SPAS astronomical missions. Extensive footage of the orbiter was recorded by an IMAX camera mounted on SPAS. The joint German-US astrophysics payload was controlled via the SPAS Payload Operations Control Center (SPOC) at KSC, becoming the first Shuttle payload to be managed from Florida. After six days of data collection, ORFEUS-SPAS was retrieved with the remote manipulator system arm, and returned to the cargo bay. On 16 September, Mission Specialists Newman and Walz performed an extravehicular activity (EVA) lasting seven hours, five minutes and 28 seconds. It was the final one in a series of generic space walks begun earlier in the year. The astronauts also evaluated tools, tethers and a foot restraint platform intended for the upcoming Hubble Space Telescope servicing mission. The other cargo bay payload was the Limited Duration Space Environment Candidate Material Exposure (LDCE) experiment. Middeck payloads on STS 51 were: IMAX 70 mm camera; Commercial Protein Crystal Growth (CPCG) Block II; Chromosome and Plant Cell Division in Space (CHROMEX-04); High Resolution Shuttle Glow Spectroscopy (HRSGS-A); Aurora Photography Experiment (APE-B); Investigation into Polymer Membranes Processing (IPMP); and Radiation Monitoring Equipment III (RME III). An Air Force Maui Optical Site (AMOS) calibration test was also performed. STS 51 ended 22 September 1993 when Discovery landed on revolution 157 on Runway 15, Kennedy Space Center, Florida. Rollout distance: 8,271 feet (2,521 meters). Rollout time: 50 seconds. Landing weight: 206,438 pounds. Orbit altitude: 160 nautical miles. Orbit inclination: 28.45 degrees. Mission duration: nine days, 20 hours, 11 minutes, 11 seconds. Miles traveled: 4.1 million. The landing opportunity 21 September was waved off due to the possibility of rain showers within 30 miles (48 kilometers) of the Shuttle Landing Facility. This was the first end-of-mission night landing at KSC for the Shuttle program. The flight crew for STS 51 was: Frank L. Culbertson Jr., Commander; William F. Readdy, Pilot; James H. Newman PhD, Mission Specialist 1; Daniel W. Bursch, Mission Specialist 2; Carl E. Walz, Mission Specialist 3. Boris Borisovich Yegorov (26 November 1937, Moscow - 12 September 1994, Moscow) was a Soviet doctor and cosmonaut, the first physician to travel in space. Yegorov graduated from the First Moscow Medical Institute in 1961. During the course of his studies, he had come into contact with Yuri Gagarin's training and became interested in space medicine. Yegorov was selected as a member of the multi-disciplinary team that flew on Voskhod 1. He eventually earned a doctorate in medicine, with a specialisation in balance. He died from a heart attack. The US Air Force launched the Navstar 2A-18 (USA 128) navigation satellite from Cape Canaveral, Florida, a GPS Block 2A component of the system, placed in Plane B Slot 2 of the constellation. NASA's Mars Global Surveyor arrived at Mars. India launched its Kalpana 1 (formerly Metsat 1) weather satellite from Sriharikota on an upgraded, four-stage PSLV-C4 rocket, maneuvered from the transfer orbit to geostationary at 37 deg E on 16 September, then parked at 74 deg E on 24 September. NASA's Mars Global Surveyor celebrated its eighth anniversary as the oldest operating spacecraft at Mars, capturing repeating weather phenomena and new, fresh insights revealing Mars as an active planet. Japan's Hayabusa (MUSES-C) arrived at asteroid 25143 Itokawa (1998 SF36) and came to relative rest with it.